Complete Probe kit includes 1/4" dia. 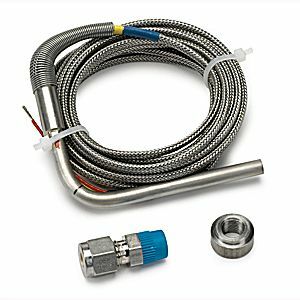 Stainless Racing Probe with 10 ft. wire plus 1/4" compression to 1/8" NPT connector and weld fitting. Want this item shipped on April 22? Order within the next 62 hrs 3 mins.